Serious power! 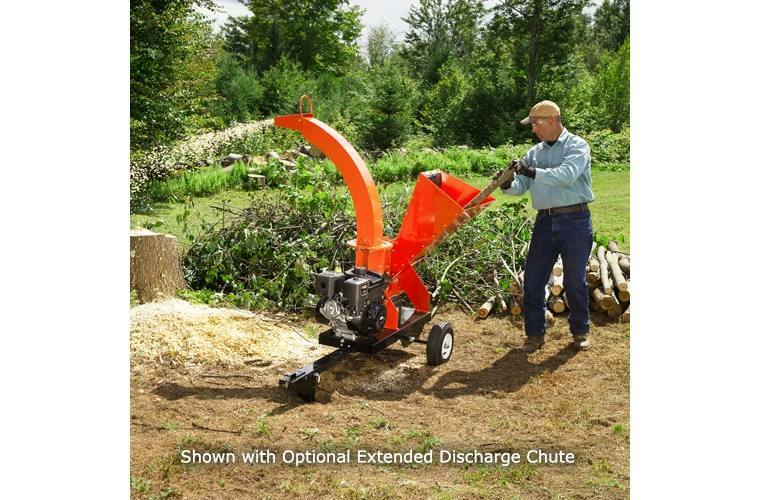 Our 16.5 Chipper chews up hardwood branches up to 4.75" in diameter. A pin-hitch comes standard. 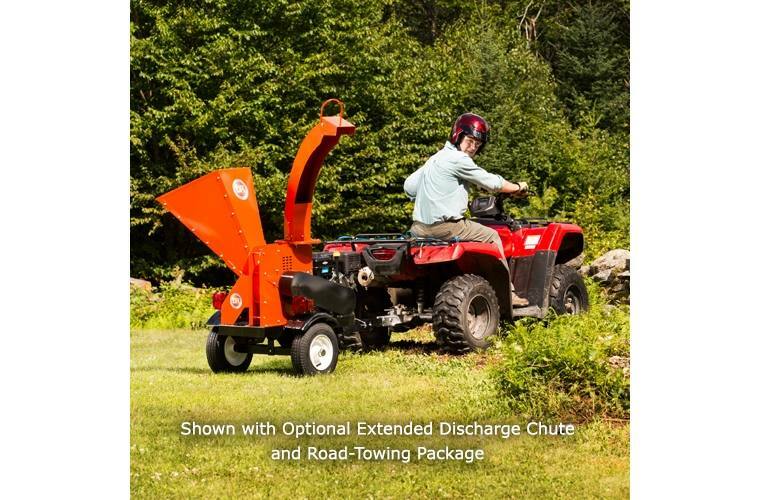 Available options include a road-towing kit, electric-starting, and an extended discharge chute. 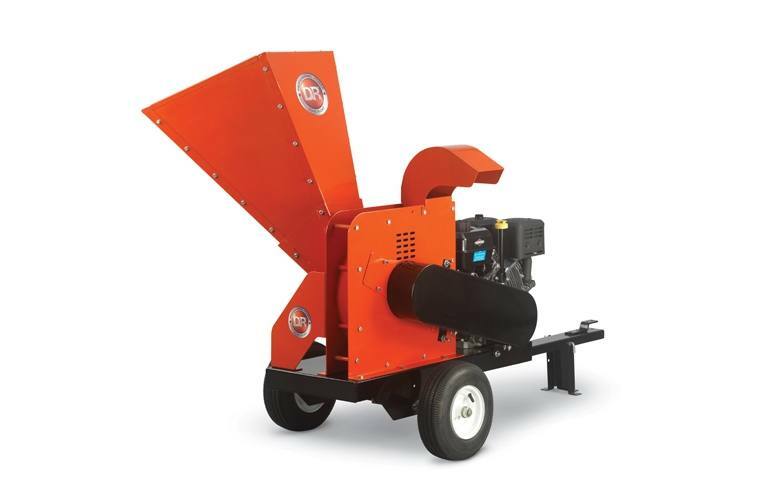 Oversized Chipping Hopper: The big opening for branches (17" x 27") accepts 4.75" branches with little or no trimming of side branches. 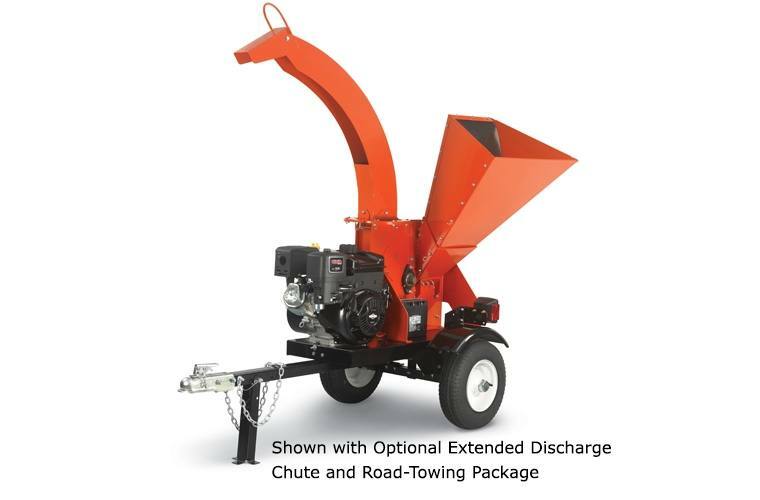 Road Towing: Add the optional road tow package and you can easily tow your Chipper on roads at speeds up to 45mph. 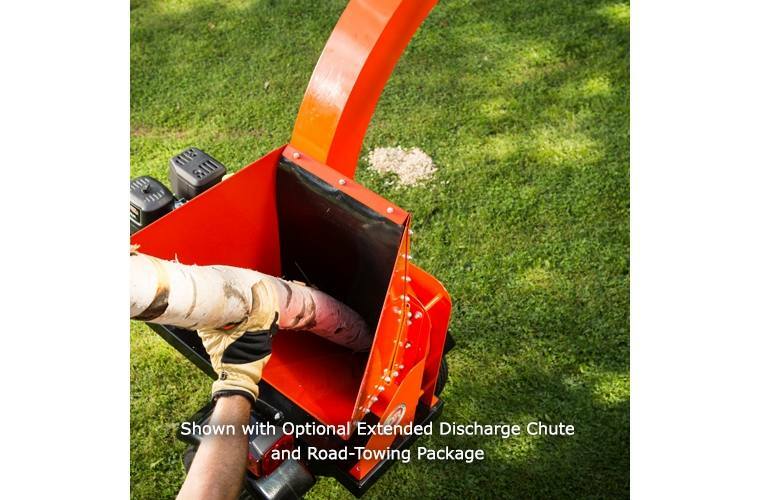 This model comes standard with a pin hitch, so you can tow it around your property using your riding mower or an ATV. Briggs and Stratton OHV Engine: The legendary power, performance and durability of Briggs & Stratton® engines make them the only ones we use on our DR Chippers. 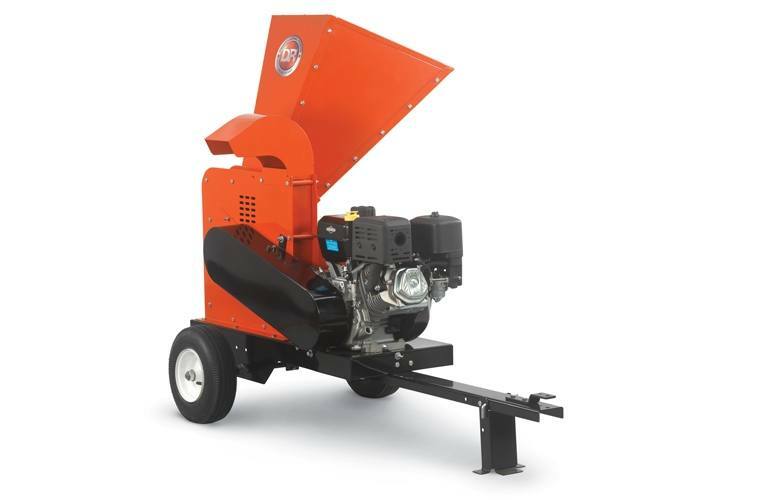 The 16.5 FPT Self-Feeding Chipper uses a durable 420cc Overhead Valve engine with your choice of manual- or electric-start. 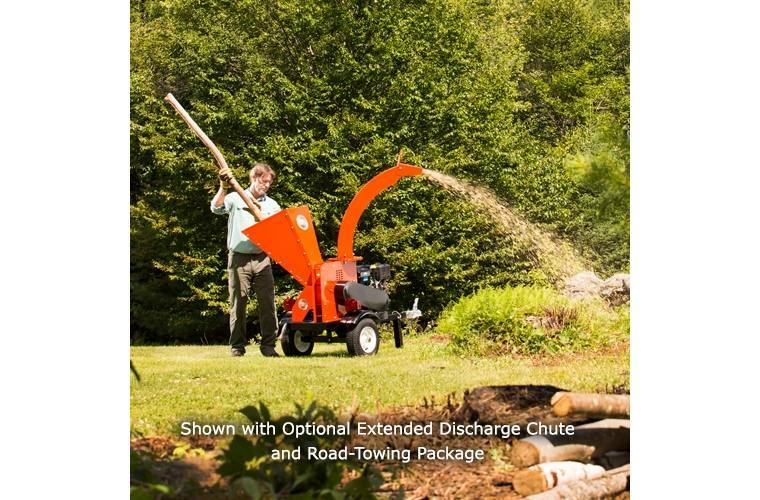 It features a debris management system that protects the engine from whatever you kick up while you're chipping and shredding. Heavy-Duty Flywheel: The key to efficient wood chipping is the rotating mass created by the flywheel on which the chipper knife is mounted. 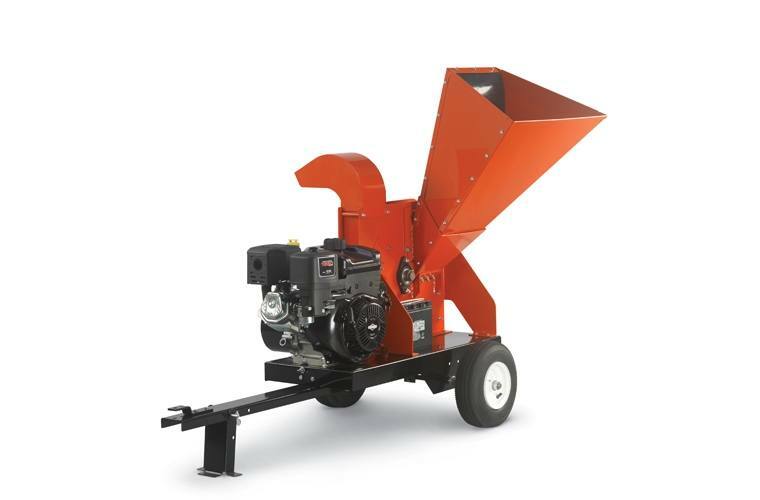 The 16.5 Self-Feeding model features a 17.75" diameter flywheel that's 5/8" thick and weighs a hefty 50 pounds. It spins at 128 mph and takes an amazing 40 “bites" per second! Hopper Opening Size: 17" x 27"